TROY — The Troy-based engineering technology developer Altair Inc. announced a new original equipment manufacturing agreement with Hewlett Packard Enterprise Co. (HPE), the spinout company created in the 2015 split of HP’s enterprise-level computer business and its personal computer and printer business. Altair officials said the deal extends a long-standing relationship between the company and SGI, formerly known as Silicon Graphics, which HPE recently acquired. 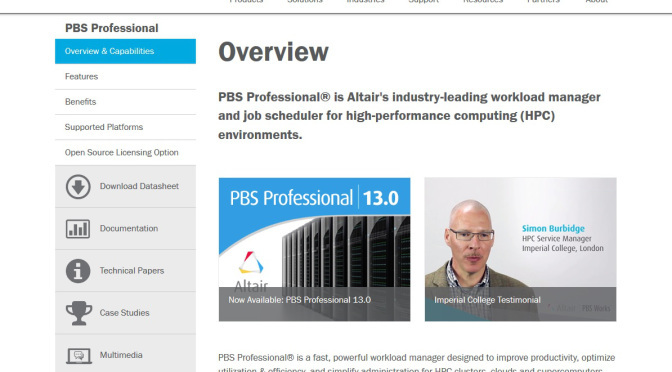 The deal allows HPE to include Altair’s PBS Professional workload manager and job scheduler on all of HPE’s high performance computing systems. As an HPE-integrated product, PBS Professional optimizes job scheduling on HPE Apollo and HPE SGI servers to achieve the highest levels of system utilization. PBS Professional is also integrated with HPE’s HPC system management solutions: HPE Insight Cluster Management Utility for (CMU) for HPE Apollo and HPE ProLiant platforms as well as HPE SGI Management Suite for HPE SGI 8600 systems. For more information on HPE’s high performance computing products and services, visit www.hpe.com/info/hpc. Privately held with more than 2,600 employees, Altair operates 68 offices in 24 countries and serves more than 5,000 corporate customers. More at www.altair.com.